Spring in the Chesapeake means the return of iconic bird species and with that return, millions of viewers will tune in to watch the Chesapeake Conservancy’s wildlife webcams, streaming this year in proud partnership with explore.org, the world’s largest live camera network. 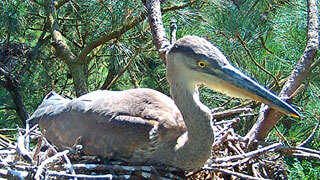 Chesapeake Conservancy is pleased to begin a new season with explore.org and three live-streaming webcams that take viewers inside the nests of osprey, peregrine falcons, and great blue herons. 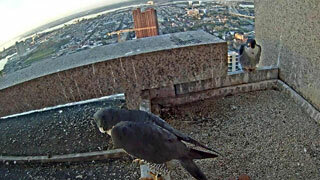 Watch Boh and Barb raise their family on the 33rd floor of the Transamerica skyscraper in downtown Baltimore. 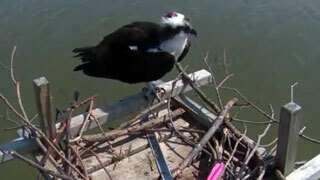 On view are Tom and Audrey, an osprey couple living on Kent Island. These amazing birds migrate thousands of miles each year from Central and South America. Take a look at a "rookery" (colony) on the Eastern Shore. Featured are couple Rell and Eddie who hatched and fledged three chicks last year.